Fundraising Gameshow - Who Wants to be a Thousandaire? Why Pallas Marketing Fundraising Events? Our shows in 2019 have average profits of €33,500 per show. 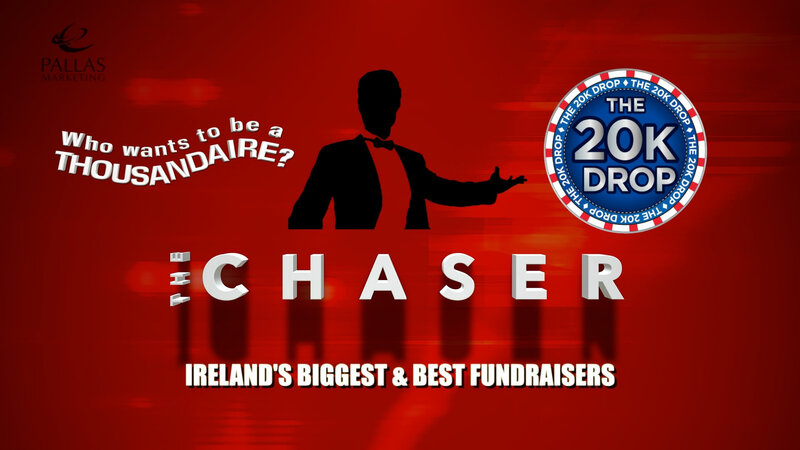 We have run over 800 shows and have raised over €18m.We are booked out now to September 2019 and Autumn is also filling quickly with just 6 weekend dates left over October and November..
Now available - Can you beat The Chaser? What are you waiting for ??? - we coach and train committees on how to fundraise professionally. Nobody can bring you the level of experience we have to bring, having run over 800 shows that raised €18 million. With our shows (Thousandaire, 20k Drop and The Chaser), you don't need to learn to sing, dance or entertain an audience. You also don't need to sell pages in a programme that nobody will read. With our coaching we will lead you into professional fundraising and we will create a platform for you to have an annual source of income. Imagine what our experience could bring to your club or school ? We have worked with over 800 committees. We will show you a professional way to fundraise that you can use forever! We have only 6 weekend dates left in October and November 2019 so please don't delay in making contact with us. We will go to your club or school without obligation to show you how our shows are so successful. Fill in the "Contact Us" section on this website now and you could have one of our remaining slots for Pre-Summer or Autumn 2019. 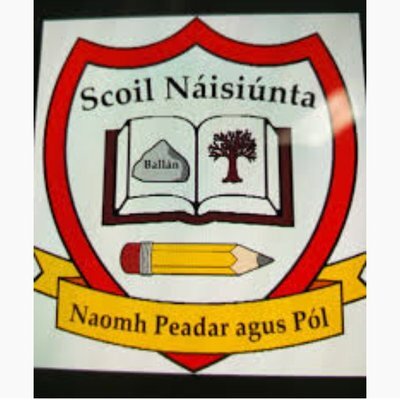 Alternatively, please phone George McGrath on 086-1716753 or Tom Shanahan on 087-9782550. HOW DO I GO ABOUT HOSTING A FUNDRAISING GAMESHOW? Showcase your product / service at a Thousandaire fundraising event. Advertise your business at a Thousandaire fudraising show. We are back again at the Radisson Blu Hotel on Limerick’s Ennis Road for Parteen GAA Clubs, 20k Drop. Tickets will launch on Wednesday, March 20th, 2019. Tickets are pre purchase only and will not be available at the door on the night. 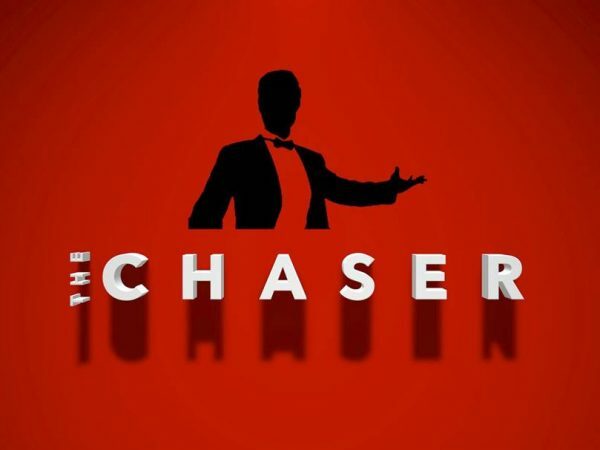 The Chaser comes to Clare for the first time on Easter Sunday night for Newmarket-on-Fergus GAA Club. Tickets go on sale from March 28th – as normal a family ticket for two adults and three children is available for just €50. Tickets are pre-purchase only. 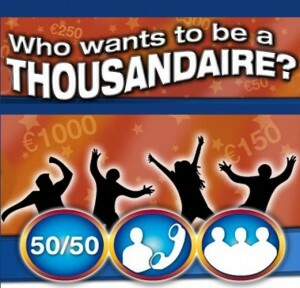 Club Clare running “Who wants to be a FIVE Thousandaire”! 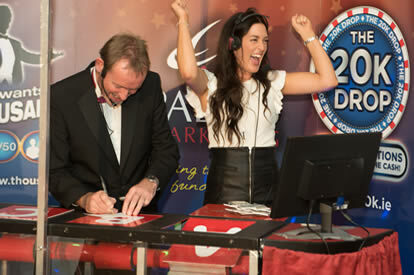 Club Clare are hosts for our biggest prize payout of the year with €40,000 in total up for grabs! 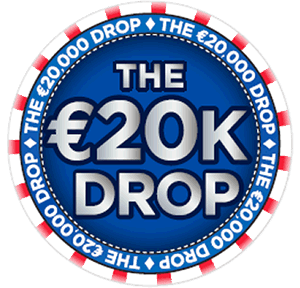 Eight contestants will be chosen on the night and each will play for €5,000. 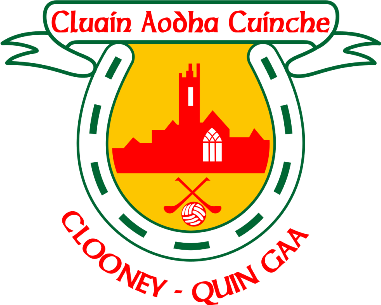 Tickets can be purchased from any member of the Clare hurling panel – family ticket is only €50. The Pallas Marketing fundraising events raise a lot of money. Don't take our word for it just read the comments from satisfied clients below. 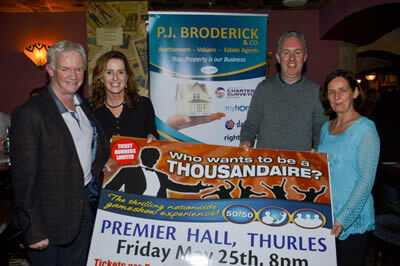 Clooney Quin GAA club held a successful “Who wants to be a Thousandaire” event hosted by Pallas Marketing on June 15th. The event was a massive success for the club with over 400 in attendance on the night. George, Tom and their team are experts in what they do, born entertainers, the crowd were laughing for the night! During the nine weeks of preparation for the event, we found the coaching from Pallas Marketing to be extremely helpful, providing the members of our committee with useful tips and recommendations that were of assistance to us in securing advertisers. Financially, the event exceeded our expectations with our profit for the event exceeding €45,000. It’s fair to say that Pallas have derived a formula that yields incredible financial results for clubs and we would highly recommend them to other clubs. 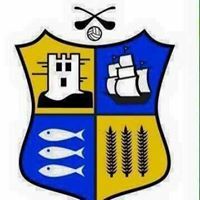 To George, Tom and Sally, Our “Carrigaline 2018” fundraiser was held just over one week ago - the success of this event is beyond our greatest hopes. From the first time I approached Pallas Marketing, your approach to our fundraising event has been refreshing and professional. 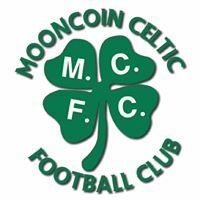 The structure you advised us to put in place, your guidance and motivation to enable us to achieve our targets are the reasons why we have attained a final figure of over €38,000 euro. The event itself was presented in a very professional and accomplished manner. The large attendance were entertained throughout and judging by the feedback received, everybody agreed that it was an excellent nights entertainment had by all. 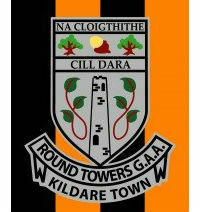 Finally I would like to thank you for your assistance in our fundraising event and to say to any other club or group thinking of holding such an event that our experience with Pallas Marketing was extremely positive and I would recommend Pallas Marketing as an ideal and dependable partner to any club. Regards TJ Cronin.